Pantelis Vladimirou is the Mananging Director of Webarts Digital Agency in Cyprus. Webarts offers today Inbound Marketing and Website redesign services to 170 clinets in Cyprus, including Zorbas, Dimco, Peletico, Alpha Bank, KEO, Cyprus Airport Duty Free, Zavos Group Euroblinds, CYTA and many more. Working with a team of 12 people and a variation of expertise his goal is to help business succeed their marketing and sales goals thought Inbound Marketing channels. 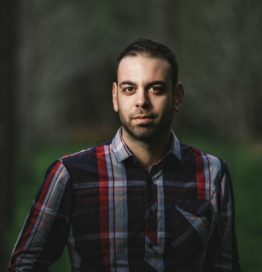 Pantelis started his career from Computer Science sector, then while doing his MBA he realized that when you add together Science, Technology and Content, you have the most effective and modern way of doing Marketing.